NB – The origins of the ‘thumbs down’ symbol is a myth you might like to research some time. 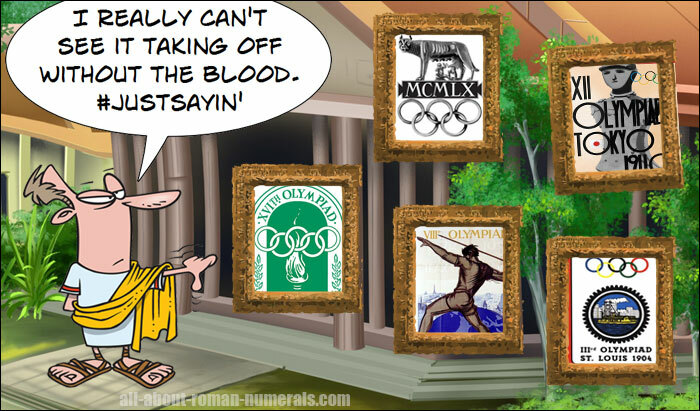 The first modern Olympic games were held in Athens Greece in MDCCCXCVI. Why might organizers have used roman numerals to number the games when the original games were held in Ancient Greece?